A couple of recent news items have me asking again a question previously asked on this blog in October of 2010. "Why would any physician in his [or her] right mind want to participate in a system such as this [Medicare]?" First, the ever-voluminous proposed rule for the Medicare Physician Fee Schedule has been published and is now open to comment. Looming above all the program changes and some potential additional work that is proposed is the ever-constant threat of a pay cut due to the sustainable growth rate (SGR). If Congress, also charged with reducing a massive budget deficit, does not act to either fix the SGR or again delay the related decrease in payments, the Medicare Physician Fee Schedule will be reduced by 29.5 percent. Doesn't sound like a reasonable business proposition to me. So what is the alternative? There are three Medicare participation options. The first is to participate, which means enrolling, accepting the Medicare fee schedule for all Medicare patients and being paid directly from Medicare. The second is to enroll but not participate, which allows you to charge the patient a fee up to the Medicare limiting charge and submit a claim for the patient to receive the reduced payment from Medicare. The third is to opt-out of Medicare for periods of two years and privately contract with your Medicare patients. To opt out, a physician must file an affidavit that meets the necessary criteria and is received by the carrier at least 30 days before the first day of the next calendar quarter. 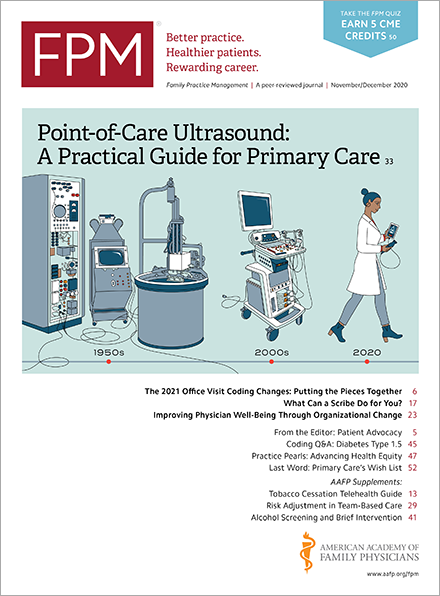 Acknowledging that physicians in hospital-owned or large group practices may not have the luxury of opting out of Medicare, a good business case might be made for individual practices. There is some administrative burden in completing the opt-out affidavit and being sure that the Medicare contractor has validated it and then having each Medicare or Medicare Advantage patient sign a private contract every two years. But that effort should be more than offset by a reduction in many other administrative areas and an improvement to cash flow if a reasonable fee is set based upon actual costs per visit and perhaps a sliding scale for those patients with limited resources. If interested, you can try it out for 90 days and see if it works for your practice. There is a 90-day period after the effective date of the first opt-out affidavit during which physicians may revoke the opt-out and return to their prior status. What do you think? If you are one of the few physicians who have opted out and still care for Medicare patients, how is it going? Are your patients able to receive equal or better access and quality of care? Do you miss dealing with CMS and their contractors?